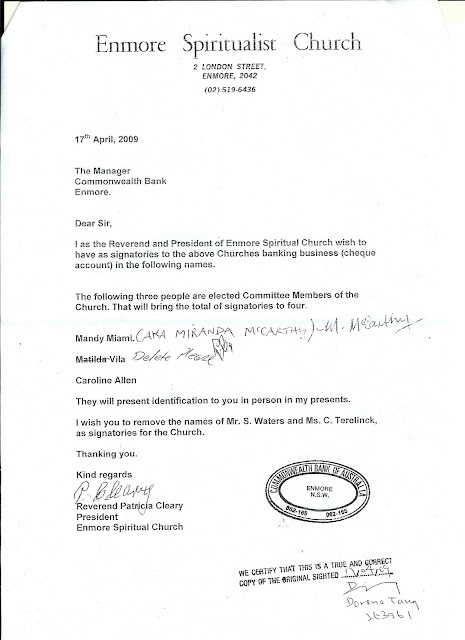 See below a letter which was taken to the Commonwealth Bank of Enmore to try and remove the church Treasurer and Secretary as signatories. The bank refused to do this as this is illegal. On the second attempt to do this by the people named in their letter, the bank asked them to leave. Why would people want to illegally remove bank signatories?